The DeLuTa is THE symposium and fair of contractors. It is allways a full rendezvous of this industry and we were there again. KENNFIXX(R) family have been our priorities this year. To the DeLuTa webpage by clicking on the picture. 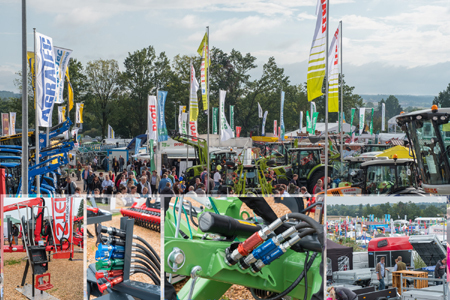 The open-air agricultural technology fair, Rottalschau in Bad Griesbach is accompanied every year by the Karpfhamer Fest. “Oans wia koans” is the motto of the folk festival and the numerous visitors, some of whom travel from very far, confirm that. The Rottalschau is an institution in Southern Germany with 70,000 m² of open space, 6,000 m² of halls and 600 exhibitors. Great for us, GRIFAsoftstep was even present in four places and installed KENNFIXX® on several machines. The many interesting discussions we could have with users and other exhibitors alone would be reason enough to be there again next year! 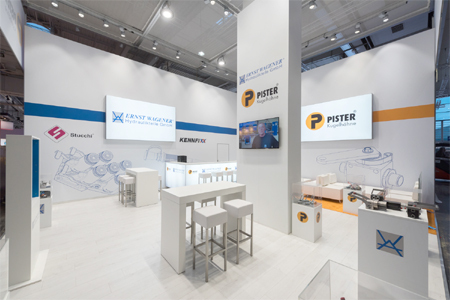 At the Agritechnica 2017, we presented ourselves in the new booth design. 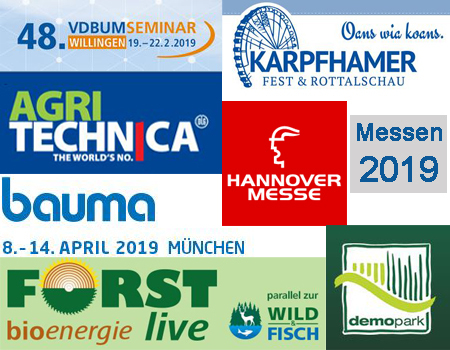 A great first aid idea, new accessories for active environmental protection, current developments in clutch technology and augmented reality as a sales tool, this and many more our visitors could experience. 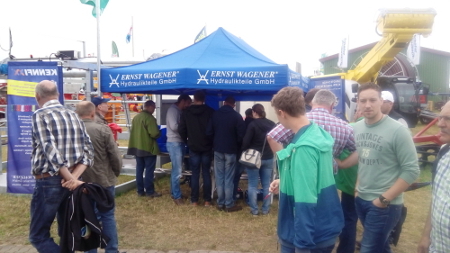 Of course, the complete KENNFIXX® family was also there and agrarheute informed themself about news a our stand. Click on the image to see the video. 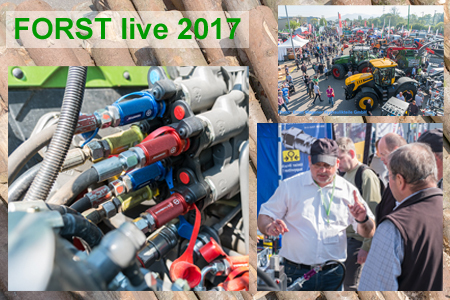 The FORST live was again a great open-air fair in the best weather! 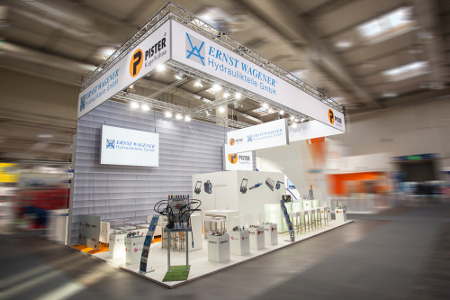 Our team was constantly asked for and did not tire of explaining products and answering questions about hydraulic engineering. The demand was terrific and we are looking forward to the next trade fair in 2018! See You 2018 in Offenburg! 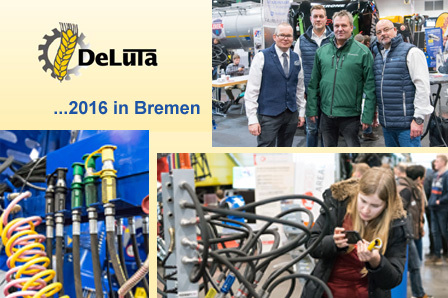 The DeLuTa 2016 in Bremen was again a very interesting and successful event for us. Also this year we are back, open air for those visiting the exhibition in Tarmstedt. 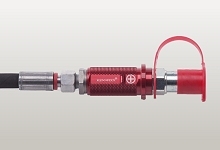 Information about multicouplings and KENNFIXX® are in high demand among users. 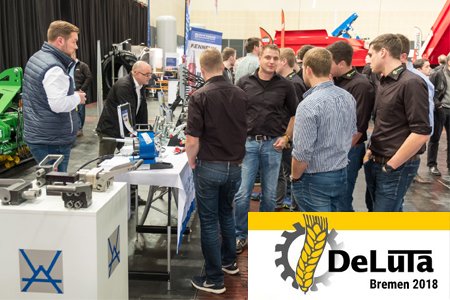 Shortly after an extremely exciting and successful trade-fair-appearance we get in touch with you for a little, speedy look back to the leading trade fair for agricultural engineering. 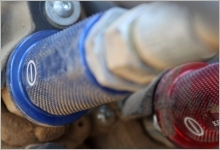 Experience within less than 2 minutes how widely spread and popular KENNFIXX ® hose marking was and jet along historical agricultural machines and Carreer & Campus back again to the systems & components. We are looking forward to seeing you in 2017! Come this way to watch the video! We have just returned from Tarmstedter Ausstellung. We are still overwhelmed by the fantastic feedback that we experienced there. 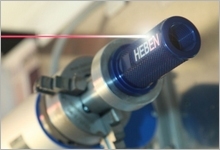 An impressively large number of machines was equipped with KENNFIXX ® and we had highlly interesting discussions. From April 10 to 12, 2015, -again- we were present at the famous open-air trade fair in Offenburg – with tent and camper. 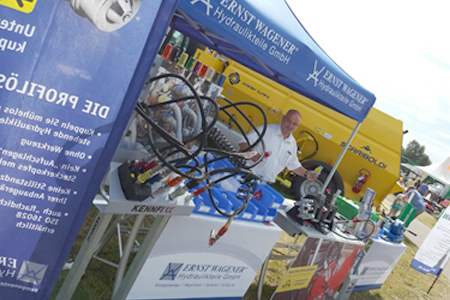 Especially KENNFIXX ®, but also the complete range of couplings with multi couplings, UDK-connectors and mobile hose crimping machines were of great interest for the huge number of visitors.